My name is Paul, I run a domestic and commercial electrical installation company based in Alsager, Cheshire. We cover all aspects of domestic and commercial work with many satisfied customers. 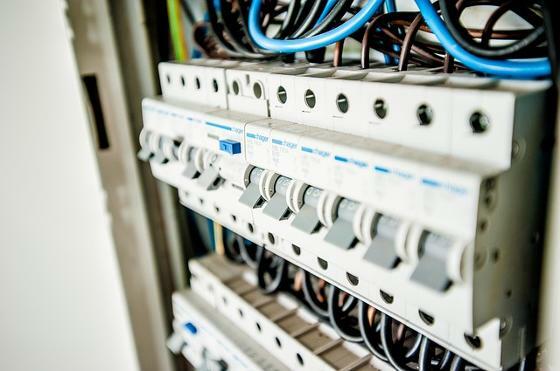 If you're looking for a good and reliable domestic and commercial electrician in CHESHIRE or NORTH STAFFORDSHIRE, you've come to the right place. Based in Alsager and operating throughout the region we offer a friendly and professional service. These are some of the common services we offer. Going green we can install a charging point for your new car. Got and old fuse board? Need to add additional circuits? Protective earth bonding needs upgrading. Whether your building a new house or renovating your existing house we are able to help. Full and partial rewires. New supplies for Garden offices and summerhouses. We are Part P registered and are able to advise you on what is required for your new installation to comply with current legislation with regards to the electrical installation. Electrical condition inspection report (ECIR) Get your property tested to ensure the electrics are safe. Portable Appliance Testing (PAT Testing) Get your portable appliances tested to ensure they are safe. Electrics keep tripping or fuses keeps blowing. Damaged sockets and switches, we are able to help. Carrying out alterations such as or new kitchen, bathroom or if you only need a few additional sockets. Need a new light fitting or switch changed or moved. A new outside light to a full garden lighting install. We Pride ourselves in our reliable and trustworthy approach to our clients. We ensure that all out work is carried out in a clean and efficient manner. Your job and home is out priority.